Today, I have the pleasure of having another good friend helping me out at the last minute by doing a fabulous guest post. Most of y’all know her already, Minnie from the wonderful blog The Lady 8 Home. When Minnie asked me what I would like her to write about, it was easy, I asked her to do something traditionally Bengali and she didn’t disappoint. This is an amazing Bengali fish dish alive with strong, vibrant flavour with a hint of tropical spice. Thank you Minnie for taking the time out to cook, plate, photograph and eat this for me. Everyone is going to love it! Hello All, it’s a pleasure to be here at Nazneen’s blog today. Many thanks Nazneen for this opportunity. 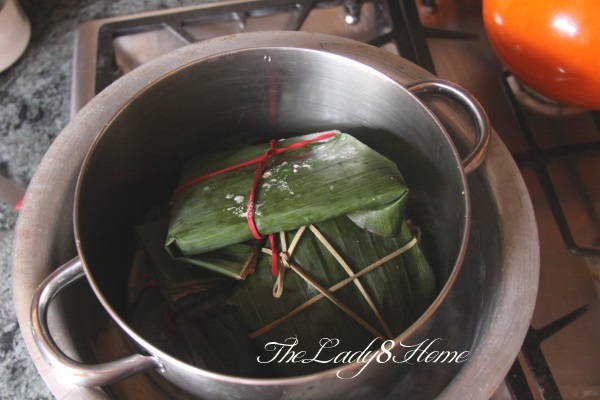 My name is Minnie, and I am the author, chef, cleaner and caretaker all rolled into one at The Lady 8 Home. I grew up in India, and U.S of A is my adopted country now. I grew up eating Indian food only, and whatever other cuisines we ate, it was always flavored with Indian spices. Once in USA, my taste buds got exposed to a plethora of flavors hitherto unknown to it. Fusion stepped in, as did experimentation with herbs that had just been exotic species of plants in books and store shelves up until then. Once in a while though, I hark back to my roots, and whip up something quintessentially Bengali. Bengal is a State in the east of India, and we eat a lot of fish and rice. 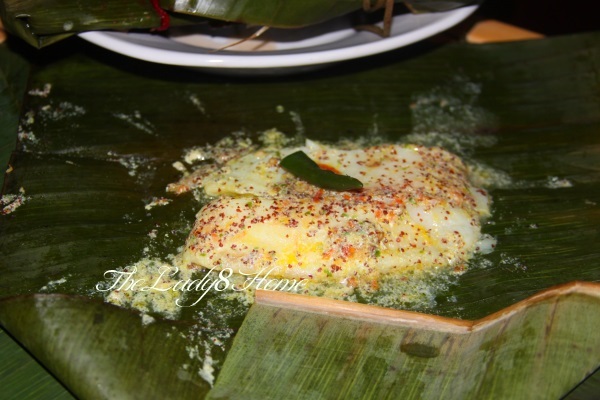 ‘Sorshe Macher Paturi’ is possibly the most beloved dish of the region today. 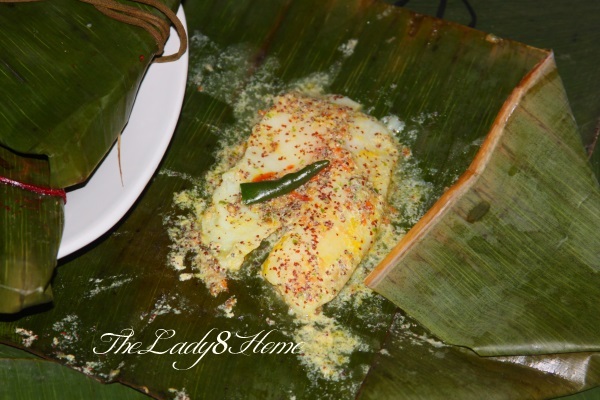 A throw back to the royals of Bengal, Paturi literally means wrapped in banana leaves. This exotic sounding dish is astonishingly simple to make. 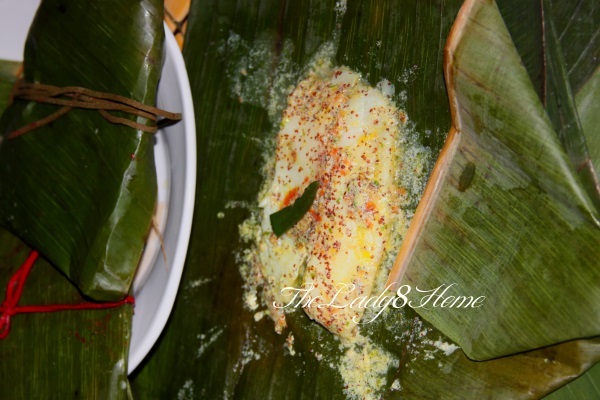 All you need to do is to make a mustard sauce, drown the fish pieces in it, wrap in banana leaves and steam. For the steaming part, use the double broiler. If you don’t own one, no worries. Simply use a pan large enough to hold all the fish pieces, but small enough to fit into another larger container full of water. Another tip is to soak the mustard seeds for 24-48 hours, and change the water 3-4 times. This will reduce the bitterness of the mustard and make the sauce smoother. If you don’t mind the bitterness, then you can skip this part completely. 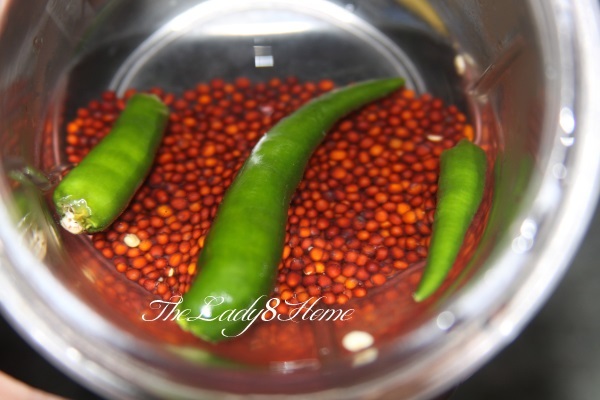 Grind mustard seeds, 1 tsp salt and 4 green chilies with enough water to make a thick paste. If you want a milder sauce, then reduce the amount of mustard seeds. Salt the fish for five minutes with 1 tsp salt. Dip the fish pieces in the raw mustard sauce. Grate the tomato and mix it into the marinade. Cut the banana leaves roughly into 12X8 inch rectangles. Wash the leaves thoroughly. Clean an area of your work space, and lay one banana leaf. Place a piece of fish, and coat it well with the mustard sauce. Add one chili, and a few drops of mustard oil. 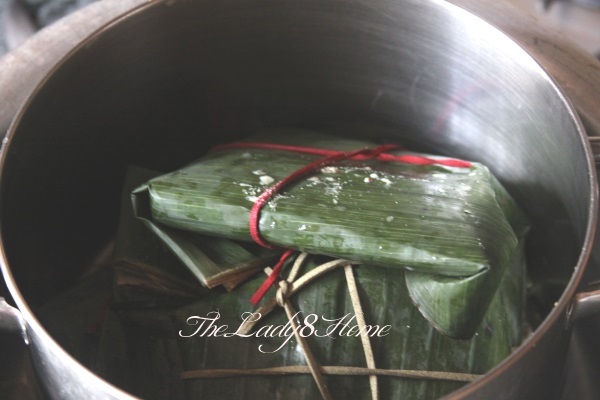 Wrap the banana leaf around the fish and fold into a packet. Tie a string around it to secure. Repeat with the rest of the fish pieces until you have six identical banana leaf packets. Arrange them in a pan. Place the pan inside a larger pan full of boiling water. Cover and steam for 20 minutes. The fish should be cooked. If you find the fish still a bit raw for your taste, simply wrap it back and steam for another 5 minutes till done. Note* Please do not use Salt water fish for this dish, it does not cook well. Also, I used Tilapia fillets for this preparation which is not ideal, but works fine. To preserve the sweetness and prevent overpowering of mustard, I used only 2 tbsp of mustard seeds. Ideally, when this is cooked with a fresh water fish like Hilsa or carp, the mustard paste is much thicker. Thank You again Minnie for a wonderful post and for showing us the taste of Bengal. I hope y’all have a great weekend. I wanted to thank all my wonderful friends for filling in for me and allowing me to enjoy my family time. I appreciate it very much. I will be back in a couple of days with some great stories to tell and hopefully a recipe of some kind. Definitely bookmarking this! 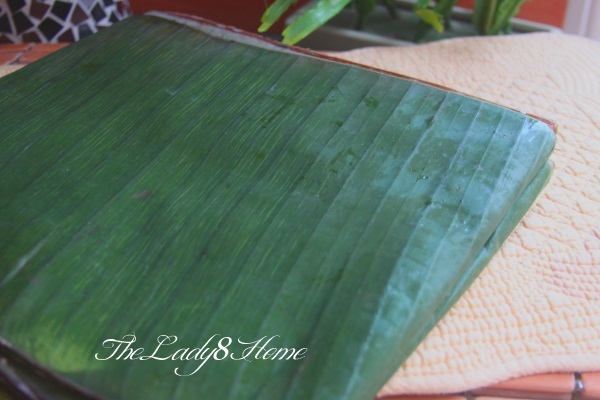 I grew up in the Philippines, so banana leaves are familiar to me! 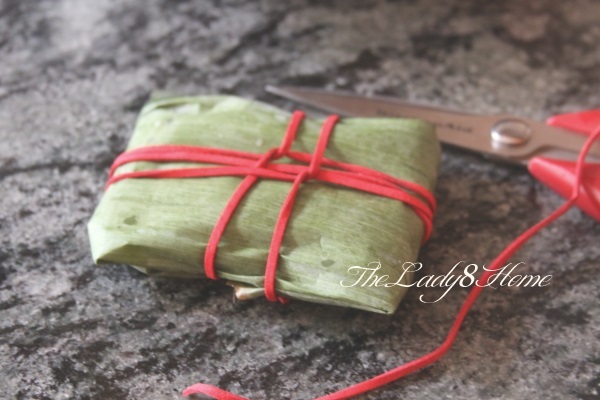 I LOVE, LOVE this recipe and will try it soon! Thanks for sharing! A very interesting dish!! Looks delicious. What a an interesting dish. It looks so delicious! I appreciate the tip about soaking the mustard seeds reduce the bitterness. I had the pleasure of tasting this dish at my Bengali neighbor’s house. 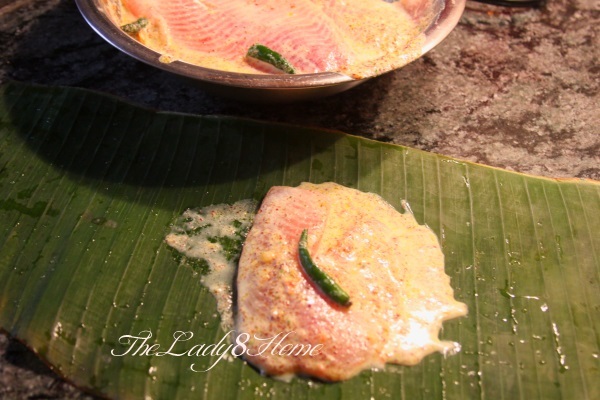 Its been really long but I still remember the flavor and taste of mustard paste coated ‘hilsa’ fish. This sounds like such an interesting dish. I would presume that I could use frozen banana leaves for the recipe. Thank you so much John! I got the banana leaves in our local Market Basket grocery store. In CA, I could buy them in Stater Brothers or Ralphs. yum! I love this! we also have somethign similar in singaporean cuisine, fish that;s smeared with sweet spicy sambal chilli paste, wrapped in banana leaves, then grilled. Love the bengali version too, will definitely try this soon, it sounds delicious! Thank you Denise, nice to meet you too! Thanks Charlie, I adore making these too. They make for such lovely presentation.